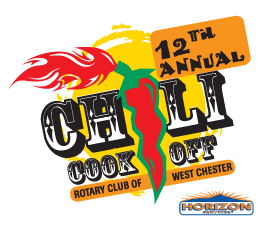 Once again the Rotary Club of West Chester is preparing for the Annual West Chester Chili Cook-Off! The 12th Annual event will take place Sunday, October 12th, from 10:30am to 3:30pm, Rain or Shine. 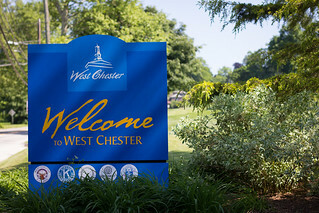 The West Chester Chili Cook-Off Features a chili cook-off, games, decorating booth contest, live music & over 40 vendors. Last year, with the generosity of sponsors, the event was able to raise over $50,000 to support the good works of the Rotary Club of West Chester. To learn more about the event click here or visit Westchesterchilicookoff.com.